Listen to Antony giving an interview with the Sunday Morning show on Radio New Zealand. Here he discusses what he’s learnt about conflict and wars as well as his appearance at the Auckland for the Writers Festival in May. Antony Beevor delivers a talk at the 2009 Melbourne Writers Festival about his vivid and engaging opus, D-Day. A look back to this interview from 2015. In this conversation with Robert Manne, he discusses his research, writing and passion for history. 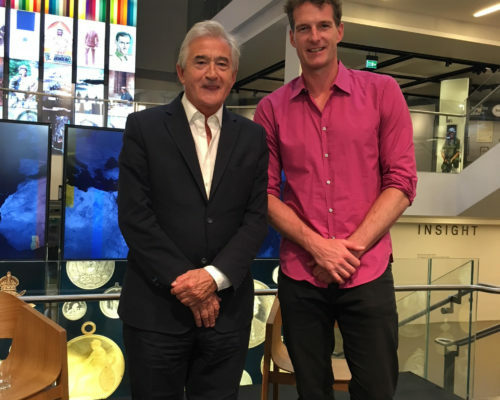 Antony was interviewed on stage by Dan Snow at the National Army Museum on Royal Hospital Road in London for HistoryHit. The event on Tuesday 22May was a sell-out and broadcast on Facebook Live. Antony was in attendance at the Pol Roger Duff Cooper Prize yesterday evening. 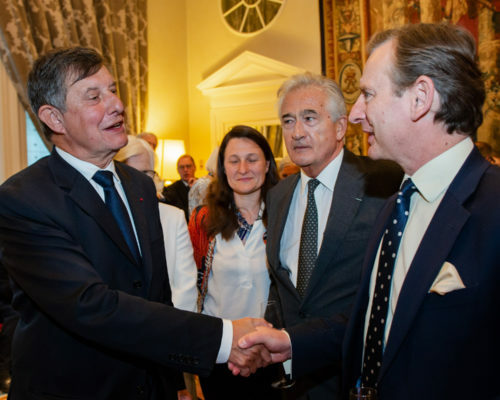 Here he is pictured with the Ambassador of France M. Jean-Pierre Jouyet and General Mark Carleton-Smith. The annual prize has celebrates the best in non-fiction writing since the first award was made in 1956. This year is was awarded to Anne Applebaum for her book Red Famine.